One thing that can’t be denied is that trains draw crowds. 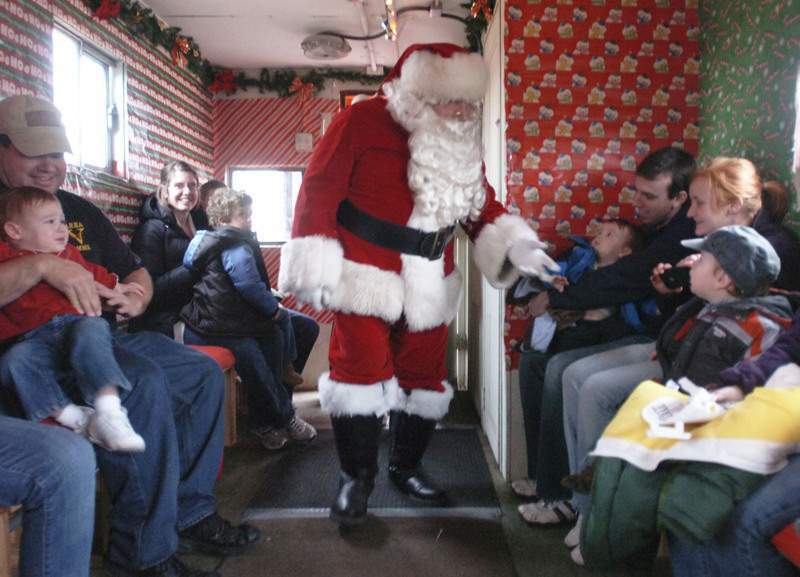 A couple of weeks ago, the Fort Wayne Railroad Historical Society announced the dates for its annual Santa Claus train. It’s a simple operation. 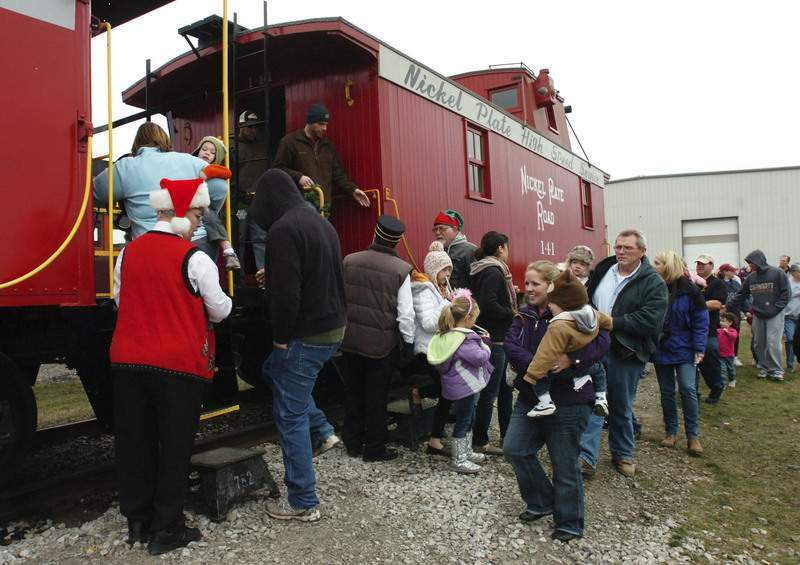 Kids get on a caboose with Santa, and an old engine takes them on a ride that lasts a few minutes. You have to travel to the middle of nowhere near New Haven to catch the ride, but that hasn’t hurt traffic. And all the tickets, enough for 3,500 people, were sold online within 24 hours. Groups of up to 20 people can still book longer excursions, but each one costs $300. It tells you something, says Kelly Lynch, communications director for the society. "If we can draw 3,500 people in three days," Lynch says, imagine what the society’s gigantic 765 engine, pulling passenger cars, could draw. Excursions with the 765 don’t start out of Fort Wayne, though. They load passengers in places like Cleveland and St. Louis, and the society never has any trouble selling tickets. They sell out in a matter of hours, if that. If it had a home in a more central location, imagine the crowds it could draw. Some people might be skeptical, but Lynch points to Roanoke, Virginia, a city less than half the size of Fort Wayne. It restored an old steam locomotive, one not quite as nostalgic as the 765, and started running excursions last spring. Once the train started running excursions, people showed up. A total of 12,000 to 20,000 hotel room rentals have been attributed to the train’s operation. A total of 5,300 hotel rooms were rented in Roanoke for two excursions, one on Memorial Day and one on July 4. Those people also spent about $1.5 million while they were in town. Altogether, Lynch says, the economic impact of the train has been between $4.5 million and $7 million. Right now they are building a multimillion-dollar interpretive facility in downtown Roanoke where the locomotive and train will be housed when it’s not on the rails, taking people on excursions around the southeast. "It’s neat to have those numbers to illustrate the economic impact" a train can have. "People are starting to see what the impact can be," Lynch said. Little by little, the society is getting the message out, pushing the idea of giving the 765 a home near downtown. "We have 3,500 visitors in December," over the course of just three days, he says. "We’ll do six figures in souvenir sales in a few days." Imagine, Lynch says, what could happen if the old engine were in operation a couple of hundred days a year. "We’re a pied piper. People will walk toward it. We could be the pied piper for downtown."